This is the final in a four part series on nuclear waste which has run on BraveNewClimate.com over a four-day period, authored by Geoff Russell. Go here for Part 1, Part 2 and Part 3. I conclude the series by discussing why nuclear waste is such a valuable resource and also cleans up a few related issues surrounding waste and concerns about waste. While there are no shortage of excellent ways of disposing of nuclear waste, there are even better reasons to not dispose of it at all. Which is perhaps why the US Nuclear Regulatory Commission (NRC) requires that all waste be recoverable for the first 50 years after it is disposed of. Other countries have similar requirements. Think about this requirement … very carefully … what’s it for? It’s rather like requiring nuclear waste be stuffed in the back of your bottom drawer instead of really being thrown out because you never know when it might come in handy. This is because most nuclear waste will only be waste until such time as what are called fast neutron reactors are rolled out. At which time nuclear fuel waste will no longer be waste, but a highly valued fuel and the NRC is clearly betting on this eventuality. More than a few countries have built these reactors. They work. The Russians used them in nuclear submarines for decades and are hoping to have a scaled up demonstration unit by 2017. Other fast reactors are due to be completed in China before 2020 following the completion of a small Chinese prototype in 2011. Commercialisation at scale is a question of “when” rather than “if”. Current reactors only extract about one percent of the energy available in uranium. Fast neutron reactors can exploit the other 99 percent. What’s left after this second pass is an even smaller amount of waste material that is even easier to deal with. Fast neutron reactors can also use depleted uranium (a byproduct of uranium enrichment) as a fuel and thus render uranium mining obsolete. Thus they make it possible, with no uranium mining at all, to power the planet for a really long time, and enable the closing of all coal mines and oil wells. No more gas fracking or tar sand operations. If you are sincere about wanting to prevent the worst that climate change will otherwise deliver, you’ll be pushing your Government to assist in fast tracking these reactors. In addition to using nuclear waste as fuel, nuclear waste has many medical and industrial uses. As the reactions inside nuclear reactors proceed, the fuel in the fuel rods is transformed into a vast array of what are called fission products. Many have applications now, others will most certainly have applications in the future. A new procedure currently in development uses lead-212 which emits heavy high energy alpha radiation. The lead atoms are attached to antibodies which deliver the lead-212 very precisely to a tumor. The large size of the alpha particles maximises the tumor damage and minimises the distance the particles can travel so they don’t reach healthy tissue. And if they do, the tissue is killed rather than damaged. Dead cells don’t cause cancer. yttrium-90 is already an accepted treatment for liver cancer. In this case, atoms are placed in tiny beads which are embedded in liver cancer tumors. This time it is low energy beta radiation which does the work. By now I hope its clear why there is no nuclear waste problem. If a country doesn’t build fast reactors, disposing of waste is just a minor overhead and if they do, then the waste is a valuable source of clean energy with medical and industrial uses. But what about renewable waste streams? How do they compare? The worst case scenarios for a nuclear waste accident include contaminated land. Chernobyl wasn’t a waste accident but it’s exclusion area has a 30 kilometer radius (about 2,826 square kilometers) which is now a thriving wildlife park. “Contaminated” has a rather weird meaning in this context. This isn’t like salt damaged land where stuff stops growing. This isn’t like oil spill accidents where large numbers of animals die excruciating deaths. Food still grows. It tastes the same, functions the same. If you eat it, you might increase your cancer risk, but not as much as regularly consuming bacon or beef or vodka. It’s a technical term. 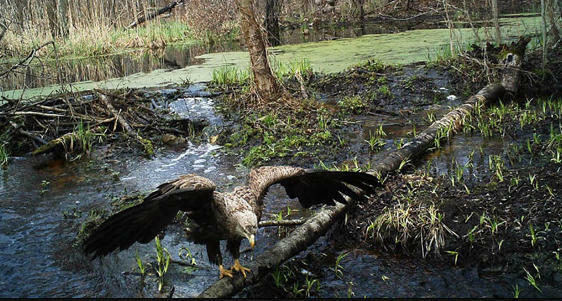 Some areas of the Chernobyl exclusion zone may soon be re-inhabited by humans and the wildlife can expect to pay a heavy price. Can a nuclear waste accident be worse than Chernobyl? It’s hard to imagine anything worse you can do to reactor waste than blow it up into the air in a huge fire. Chernobyl hasn’t caused any kind of global catastrophe and was never going to. In contrast, the World Wildlife Fund recently suggested appropriating one percent of the ice free area of the planet for utility scale solar plants. One percent is is triple the area of all the mining operations on the planet. This would appropriate about 1.2 million square kilometers and cover them with steel, concrete and mirrors or panels. This is an area equal to 424 Chernobyl exclusion zones and there will be no thriving wildlife reserves on any of it. Would this be a global catastrophe? No, but it would be very much worse than many more Chernobyl accidents. In a very real sense these silicon or glass monocultures are their own waste streams and their destructive impact lasts as long as they are generating power and continues until they are dismantled and disposed of. 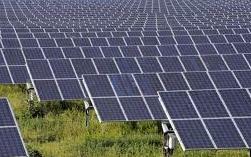 In almost all current examples, utility scale solar systems displace either wildlife or food production. What can be done to change public perceptions? How did we get to a point where the perception of nuclear risk was so far removed from the trivial nature of any actual dangers? You can see that experts judged nuclear power as safer than commercial air travel … with much the same risk as food colouring. Non-experts, on the other hand rank nuclear power as, or close to, the most dangerous of the 30 activities considered. Note that the “experts” in this study weren’t nuclear experts, just people with technical skills used to making quantitative comparisons. Despite the accident at Three Mile Island causing not a single death or injury, the following decade saw the US cease the nuclear power roll-out it had begun in earnest during the oil crisis of the early 1970s. As US nuclear leadership faltered, other countries also slowed or ceased their nuclear roll-outs. France and Sweden were among the few that continued, albeit in the face of some strong public opposition. The Swedes had a referendum in 1980 in which 38 percent of the population voted to stop building nuclear plants and to close all their reactors within 10 years. But despite such opposition, both countries complete their nuclear roll out and have been producing their electricity at an average carbon cost of between 20 grams (Sweden) and 80 grams (France) of CO2 per kilowatt hour (gm-CO2/kwh) compared to 850 gm-CO2/kwh in a totally coal based country like Australia and about 550 gm-CO2/kwh in the US with some nuclear power. While the US ceased building new nuclear power stations it did substantially increase nuclear electricity output by enhancing existing facilities. A year or so after Slovic’s paper, NASA climate scientist James Hansen was famously warning the US Congress about climate change in a presentation that gained world attention and a special report in the New York Times. It made no difference, the world was more frightened of nuclear power than of climate change, with the result that coal proliferated and nuclear power stagnated in most places. It didn’t die, it just hunkered down and lost its confidence. Slovic explains the differences between experts and lay people by noting that experts make risk judgements based on measured frequencies of death or injury, whereas non-experts use very different methods based on a couple of factors which I’ll call novelty and the dread of catastrophe. Research further indicates that disagreements about risk should not be expected to evaporate in the presence of evidence. This is a bleak assessment but it isn’t supported by the figures Slovic’s presents for Commercial Aviation. The fear of flying is so widespread that most of us will have seen its manifestations. But the presentation of evidence has been ubiquitous such that even the most fearful of people understand that the safest way to travel a thousand kilometers is to fly. They may still choose not to fly, but there are no anti-air travel campaigners and excessively fearful people understand that they have a problem. It’s a phobia. Evidence hasn’t, of itself, banished people’s fear of flying, but it has radically changed behaviour such that people see their fear for what it is. Irrational. I wrote this series of articles to help people with a well developed nuclear fear to similarly see it for what it is. During the past few years, I’ve managed to cure my phobia and this has allowed me to recognise the obvious. That nuclear power must be a major component in any successful plan to prevent further destabilisation of the climate while continuing to reduce global poverty.